WOULD YOU START A WAR TO AVENGE YOUR BROTHER’S MURDER? Ian Softley is a killer. He’s the man governments call when they want somebody dead. His is a life of intimidation and brutality, of beatings and executions, including, ultimately, his own. Jack Softley’s life is a world away from his brother’s. A high school English teacher, devoted father, and all-round nice guy, Jack tries to stay as far away from trouble as possible. But when he receives word that Ian has been murdered, he finds himself dragged into a storm of violence and danger. Because the same people who killed his brother want him dead too. Hunted by government agents and brutal assassins, Jack must discover the truth about Ian’s dark past if he wants to stay alive. But Ian isn’t the only Softley to have secrets. Jack hasn’t always been a teacher. He hasn’t always been a nice guy. And when push comes to shove, he doesn’t do things softly. 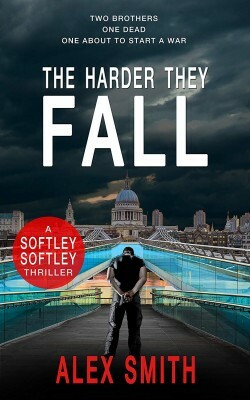 The first book in Alex Smith’s unputdownable Softley Softley series. If you like brutal action, pulse-pounding suspense, and stories that never stop for breath, you’re going to love this electrifying debut.